Covering Belfast, Portadown, Ulster, Lisburn, Newry, Armagh, Antrim, Lurgan and Dungannon. Thank you for allowing me this opportunity to tell you a little bit about myself, and more importantly why I believe that I can offer you what I believe to be the best possible help and support for whatever your symptoms might be. Right now, you’re probably desperate and this is the last resort…and how do I know this about you? I’ve been there, I know what it’s like to feel that there’s something inside you that seems out of your control, or feel that you have to put on a mask every morning in order to cope, to look in the mirror and feel like it’s a stranger looking back at you, to feel guilty and judged, to have destroyed relationships, and to have spent a small fortune trying to run away and cope with your feelings. But, looking back now, the strangest thing is that at the time, the emotional roller-coaster I was on actually felt normal? Over the years I turned to counselling and traditional hypnotherapy or suggestion therapy, and yes in the back of my mind I was thinking that it was some sort of watch swinging mind control thing and that with just the click of the fingers I’d be fixed, just like that…magic! In a way there was a part of me hoping that it would be that easy. of course, it wasn’t like that. It was really relaxing and involved being given lovely positive suggestion and given tapes to listen in an attempt to reinforce these lovely suggestions. But despite our best efforts, the benefits didn’t really last. I was then introduced to hypnoanalysis and eventually the Thrive Programme® which help you to deal with the source, the real reasons behind our problems. Stress, anxiety, addictions, phobias, eating disorders, emotional and physical dis-ease are the symptoms of this source. It has been the best thing that I’ve ever done, it’s given me the peace of mind, the confidence and the control over my life that I’d always dreamed of. If I was to have any regrets, it would be that I didn’t do this earlier. 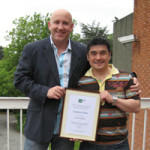 This all happened over a decade ago and the experience changed my life, so much so that I decided to train with The International Association of Pure Hypnoanalysts (now the International Association of Evidence Based Psychotherapists or IAEBP) and become a licensed Thrive Programme® Consultant so in turn I can now offer the same help to you. So you can see that my path has probably been pretty similar to yours, and this is precisely why I have the greatest of confidence in these treatments, and in my abilities to be able to offer you the same comfortable, safe and non-judgemental environment that were afforded to me, in order for you to be free to be the best that you can be. Call me on 07854877882 and I will arrange a FREE confidential consultation for you in which I will explain exactly how your problems can and will be sorted out once and for all in only a matter of weeks. I am also a licensed Thrive Programme® Consultant Trainer and have trained in counselling and N.L.P. For 9 years I was the relaxation consultant for the Southern Area Hospice. I have also given lectures and workshops for the I.A.P.H. on cancer care, pain management, hypno-anaesthesia, and for the Southern Education Board and various counselling organizations. I have been fully C.R.B. passed to be able to work with vulnerable adults. At the 21st annual conference in May of 2006 I became one of the first eighteen members of the International Association of Hypno-Analysts to be awarded the advanced membership status, from a worldwide membership of 400 hypnotherapists. As a fully qualified member of the International Association of Evidence Based Psychotherapists, the American Association of Medical Hypnotherapists and the British Association of Counsellors and Psychotherapists, I am bound by a strict code of Practice and Ethics of the highest standards. In May 2008 Stephen was awarded a Fellowship of the International Association of Pure Hypnoanalysts at the IAPH annual conference. 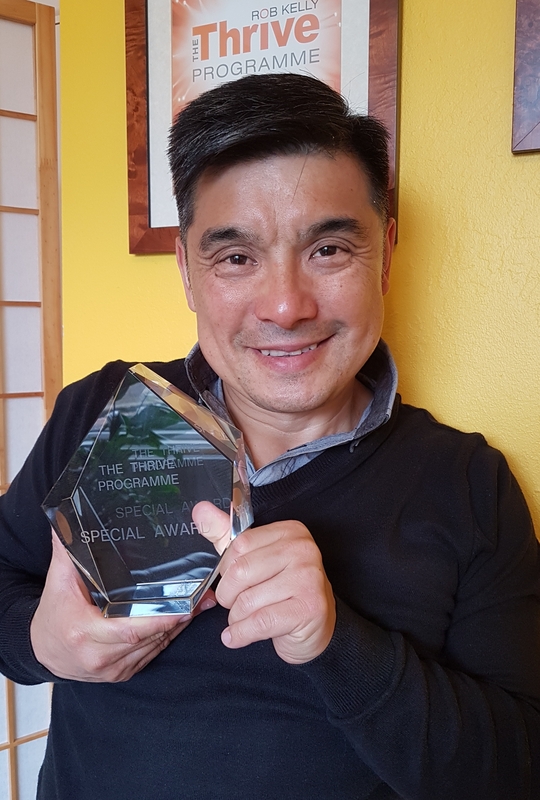 Over the years, he has contributed a huge amount to the field of hypnotherapy, and in particular, to the IAPH, especially in the field of medical hypnosis and pain management – subjects he has lectured on throughout the UK. An IAPH fellowship is the highest accolade achievable in the organisation and is reserved for therapists who have made a SIGNIFICANT contribution to both the IAPH and the profession of hypnotherapy. ”In the association the title of Fellow is held in high regard – since the IAPH was established 23 years ago only 10 Fellowships have ever been awarded. Stephen Chan is one of the most experienced and successful hypnotherapists and Hypnoanalysts in the UK. Over the years, he has contributed a huge amount to the field of hypnotherapy, and in particular, to the IAPH.